Thanks to the goals of Hamraoui, Aitana Bonmatí, Patri Guijarro, Andressa Alves and María León, FC Barcelona Women enjoyed a comprehensive victory over Glasgow City (5-0). The visitors had the first chance of the game but the shot was saved well by Sandra Paños, and from that point on the Blaugrana dominated. A great move in the 12th minute ended when Hamraoui cut inside to score the opener. Patri Guijarro then crashed a long-range effort against the crossbar, and Mariona also went close. Fran Sánchez’s side continued to take the game to their opponents, and Aitana Bonmatí started and finished a wonderful move on 37 before Patri Guijarro made it 3-0 just three minutes later. Despite not having as many chances in the second half, Andressa Alves and María León added to Glasgow’s woes. 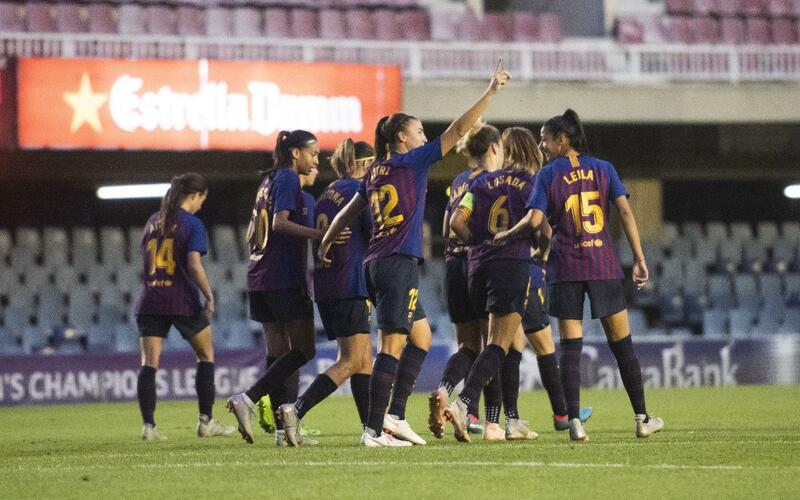 The final score (5-0) allows Barça Women to face the return match on November 1 in an extremely positive frame of mind.